By LUDWIG VON KOOPA - These figures are everywhere except stores, apparently. Kirby & The Rainbow Curse functionality with Kirby, Meta Knight, and King Dedede. Change Kirby's abilities in-game and make him look different. Eleven new amiibo (Wave 3 of Super Smash Bros.) hitting store shelves in February. King Dedede, Rosalina & Luma, King Bowser, Sonic, Mega Man, Toon Link, Sheik, Ike, Shulk, Lucario, and Meta Knight. Super Mario Bros. series amiibo for March 20. These are Mario, Luigi, Peach, Bowser, Yoshi, and Toad. These have a red base and are interchangeable, gameplay-wise, with their respective Super Smash Bros. counterparts. They have different art. Toad is exclusive to this series. Mario Party 10 has a special amiibo mode with compatible (read-write) amiibo being Mario, Luigi, Peach, Bowser, Yoshi, Toad, Wario, Donkey Kong, and Rosalina & Luma. This Party mode has your amiibo jump around the board and do stuff, and there are different boards depending on what amiibo you use. You can use any other amiibo for some random bonuses, too. Mario Party 10 is packaged with a Mario amiibo from the Super Mario Bros. series. Captain Toad: Treasure Tracker is receiving a patch to allow use of the Toad amiibo. There is a pixel Toad hidden in levels after usage. Code Name S.T.E.A.M. uses the Fire Emblem character amiibo in-game: Marth, Ike, Lucina, and Robin. They join your roster and fight with you. More Marth amiibo are coming "later this year" in America. 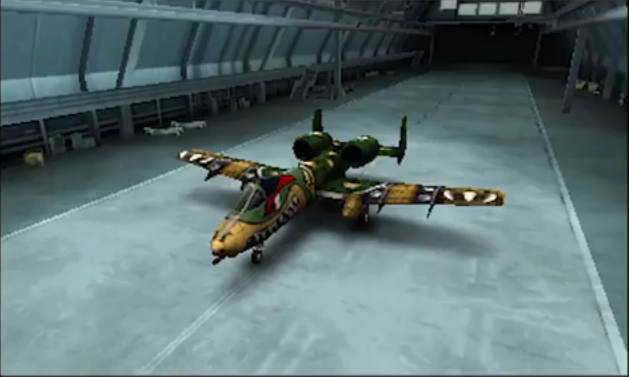 ACE COMBAT ASSAULT HORIZON LEGACY + from Bandai Namco has amiibo-unlockable aircraft skins. Shown were Mario, Bowser, Fox, and Link. It turns out that the real theme of the Direct was pretty much "We are expanding amiibo even more, and it's definitely worth getting a New 3DS, which has built-in NFC." Well, with around 2.6 million amiibo sold since they were launched in November, this is a Nintendo-success story. We personally failed in trying to find these things in stores, but it's good to know that the shortages are because they're actually selling a lot, not because Nintendo is just trying to make these look more popular than they really are. King Dad is really cool, but does this make wotever place ACE COMBAT is in canon to the Mushroom Kingdom? Just because Intelligent Systems is behind both, doesn't make this acceptable. If we have situations like the above, then amiibo really are out to delegitimise attempts at keeping canon in the name of sales of an unrelated product. 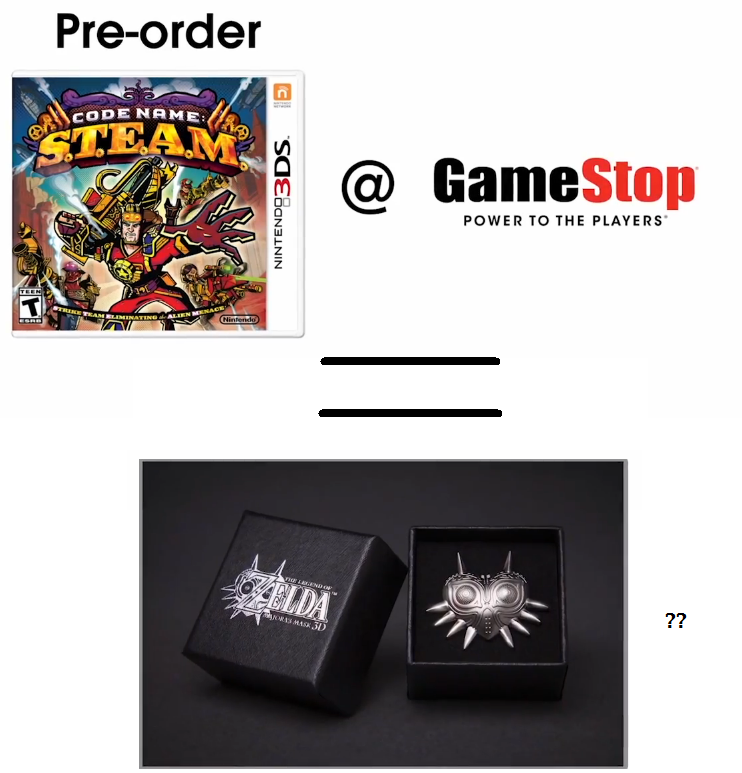 Sort of like how Nintendo is trying to get pre-orders of Code Name S.T.E.A.M. (specifically at GameStop? ...Shulk, are you behind this?) by offering a Majora's Mask pin. Nintendo: Breaking canon and logic all in 46 minutes. Twig arms (and what's with his head?). 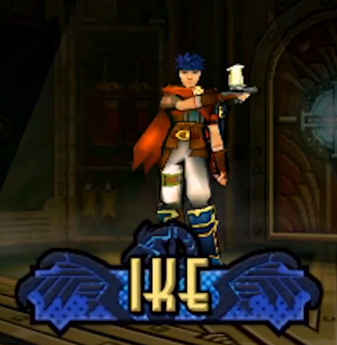 For more on what Ike is supposed to look like, see "Ike, The Radiant Hero". “When will Fire Emblem return to consoles? Is Nintendo going to make a free-to-play game where you progress after an early point only by buying (specific) amiibo and using them? I could see that being hailed as quite innovative, and hey, if whatever gameplay it has is REALLY compelling, then that alone could sell a lot of amiibo. If that won't happen, then I could also see amiibo being used for StreetPass Mii Plaza games in some way. And this will all be so annoying as a consumer, but at least it'd make sense, both business-wise and canon-wise. Maybe I'd be more positive about this situation if I could actually find the amiibo I want in stores. 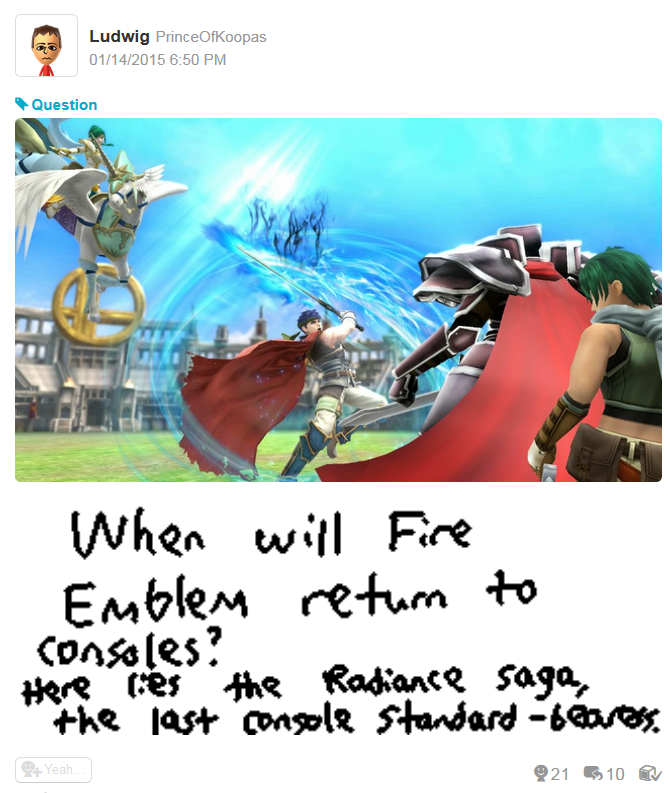 And if Nintendo gave specific launch dates on their site. Ludwig actually owns a Little Mac amiibo via a generous gift, and also is the operator of a Link and Zelda amiibo that he doesn't actually own. They are primarily used for decoration and he is satisfied with that. Next, he wants an amiibo of his father. 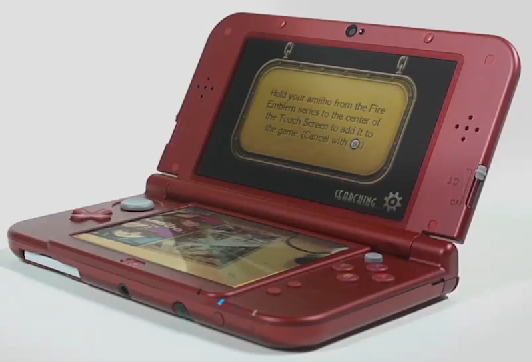 The Majora's Mask 3D pre-order bonus is called out again here. Ludwig goes into intense detail about why Ike should not be working for Abraham Lincoln here. Another Nintendo Direct, another amiibo discussion. Wave 4 amiibo are finally released! The next Fire Emblem game on consoles will be for the Nintendo Switch in 2018. I still feel no need to get any amiibo. Which... might be a good thing. I think amiibo will become dangerous when you can't properly enjoy a game without them. Right now they feel like inconsequential DLC, so I view them like any DLC--once I see content I want and consider worth the price, I'll get one. Pft you just hate Nintendo characters and Mega Man. I don't want amiibo for gameplay purposes, I want them to sit and look pretty. Which is why when I read that Nintendo is looking into replacing amiibo with NFC "cards" (e-reader 2.0?) I thought it was a disaster but forgot about it until I made this comment so I'll have to write an article in a bit. Maybe February, so it's not too many bad-stuff-relating-to-amiibo all at once. ........oorrrrrrr we could just get this bonus puzzles as part of the game's package. I mean, they sent a puzzle of the day to you every day for free, right? Now that's replaced with amiibo? Oh, yes yes yes, don't misunderstand me, I meant IN ADDITION to those wonderful daily puzzles. Or maybe it could be something other than puzzles, like extra mini-game stages! Well, they're still puzzle-like, but not in the standard Layton puzzle fashion. For example, Diabolical Box has a mini-game where you have to make the proper kinds of tea requested by people around town. One (Azran Legacy?) had a mini-game where you plant flowers with specific properties to cover the entire garden. So they're all still puzzle-based (with the exception of AL's scavenger hunt, which integrated StreetPass), but they're separate from the puzzles. No picarats, no hint coins... but if you complete all the stages in the mini-game, you're rewarded (with puzzles, of course). So if you complete all the stages in the mini-games you want to be unlockable via amiibo usage, you get more puzzles? ...So both the mini-games AND puzzles would be locked via amiibo? Hm. ...And maybe amiibo could be used for THAT London Life thing. Well, maybe the idea is that you can live your own London Life in Europe anyway without it needing to be simulated! ...yup. Do you know anything about the Wii Fit Trainer amiibo? It got discontinued in the U.S. or maybe in just Arkansas. Just wondering? Now I'll never get to be tortured by Wii Fit Trainer until I move out-of-state. You can't find it in any other state, either. The reason Marth is getting re-continued is because he's available for Code Name S.T.E.A.M. So you'd think Wii Fit Trainer would need to be in another game, but Wii Fit U is already out and if they wanted to patch it for amiibo support, they'd do it already. I feel like they'll never do that patch because amiibo are for extracting more revenue out of Nintendo's existing core fanbase. Wii Fit U is not for the core fanbase, it's that weird attempt to try to get Wii owners to get a Wii U that didn't really work out. So... as a power fantasy? King Dedede would be a great power fantasy too.